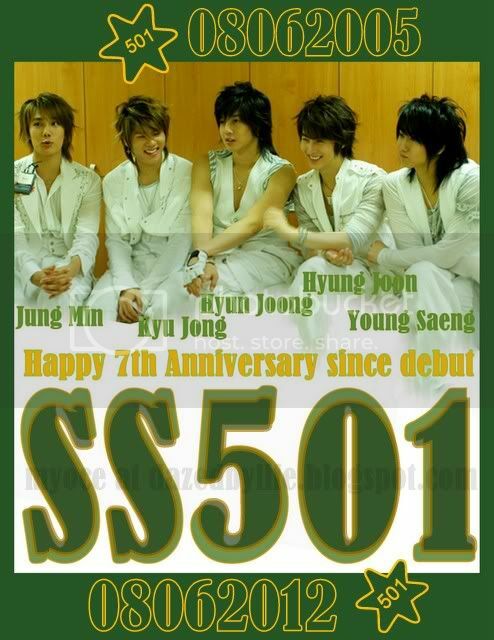 Wow ...it has been 7 years since debut....and 10 years since they were joined together to be SS501 and started training in DSP...right ? wasn't it 2002 they started training together ? So happy they managed to come together at Kyu's FM.....reassuring fans of SS501's unity and strengthening Triple S's hope to see all five members of SS501 on stage again in the future !